shipping methods by product tags. Each section can be enabled or disabled with a checkbox. If you don’t need some option inside the section – leave it empty and it will be ignored. Enable/disable one of the sections. Enable this checkbox if you want all products in cart to be valid (instead of at least one). Check Usage Scenario #1 below. 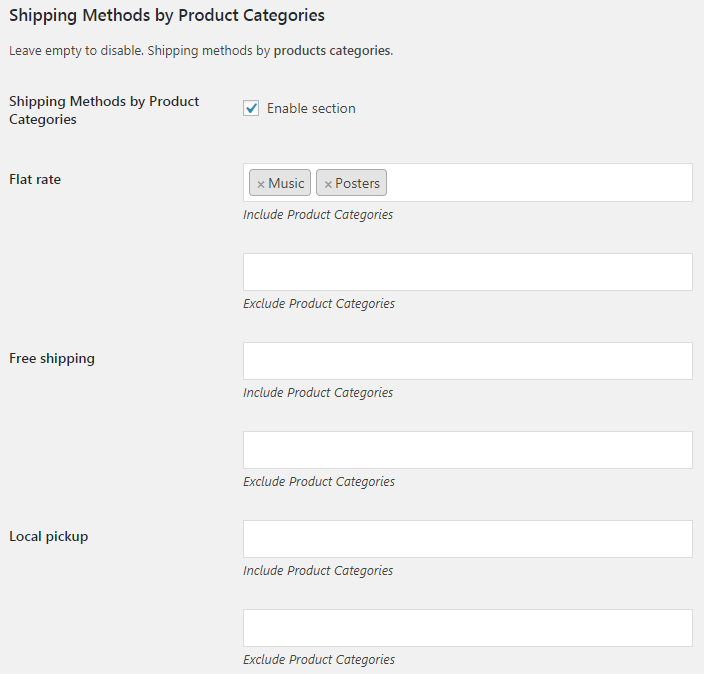 If you fill in this option, then at least one of selected products / product categories / product tags must be added to the cart for shipping method to show up. If you fill in this option, then if at least one of selected products / product categories / product tags is added to the cart – shipping method will be hidden. If only category A products are in cart – only shipping method 1 is available. If only category B products are in cart – only shipping methods 2-3 are available. 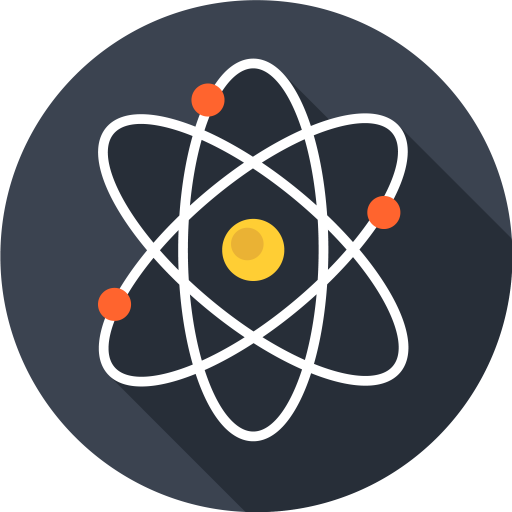 If both category A and category B products are in cart – all shipping methods 1-3 are available. 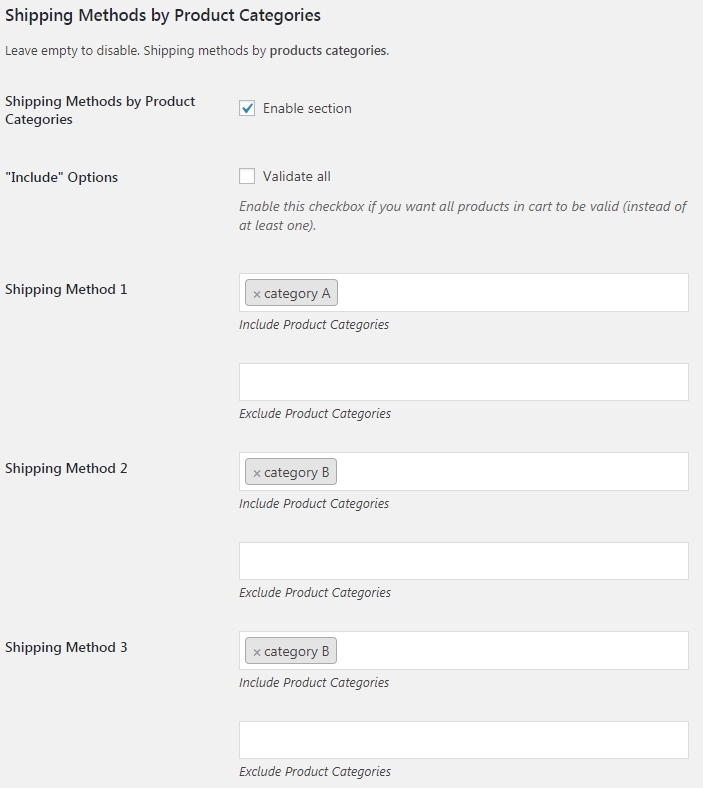 For the list item three (“If both category A and category B products are in cart…”) – you need to uncheck “Include” Options checkbox, as if you enable it, and both categories products are in cart, then no shipping methods will be available at all. I am trying to exclude shipping for certain products to certain states. how much support would you have if I run into any snags? We will try to help with any problems that may come up via email; sometimes it’s necessary for us to login to your website to find the root of the problem. I have a lot of custom shipping methods, some that I want to exclude from certain categories. The issue that I am running into is that this module page takes a long time to load, is there any other way to set these exclusions? I should add – I am using shipping instances, these will only increase, thus making the issue worse the more I add. The page itself will no longer fully load all instances. also – it might help if you could let me know the table / meta_key for the instance data, as I could update via SQL. but do not see where the rules / tables etc are stored. Can you contact us via email at support@booster.io with this issue? Thank you. I´m missing Shipping Methods by Weight, is this something you can add? I can’t get your plugin working. I have 3 Parent Categories that I’d like all sub categories to be free shipping. Please help me out. Have a client trying to do a sale this weekend.